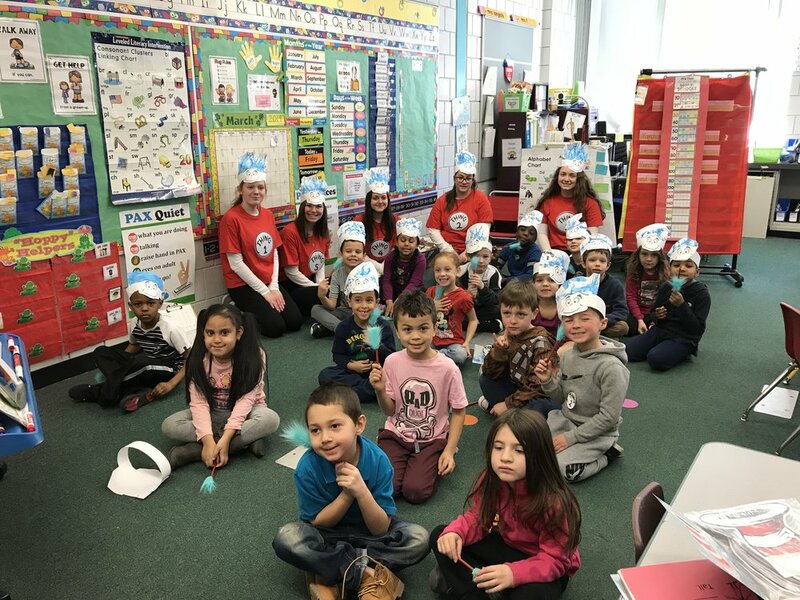 Early Education and Care students designed and delivered reading lessons to first graders at Pentucket Lake Elementary School as part of a celebration of Dr. Seuss’s birthday. The students who participated, dressed in Thing 1, 2, 3, 4 & 5 t-shirts and headdresses, are: Sophomores Audra Cote, Kylie Gilbert, Ashleigh Viola, Kaileigh O'Connell, and Rachel Christopher. Their EEC Instructors are Michelle Ring and Ellen Powers.